Confused, yet? We’ll walk you through everything and simplify this confusing topic. 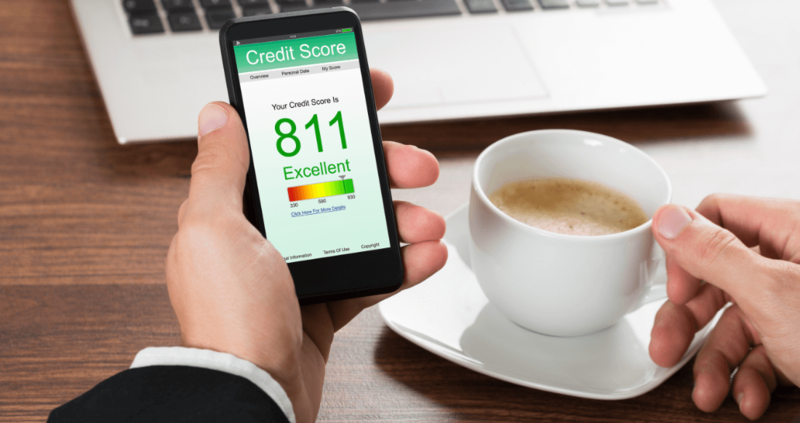 By the end of this article, you’ll know the ins and outs of credit scores, why they matter and what the similarities and differences are between the scores produced by the different credit bureaus. Knowing your credit score can help you decide which credit cards you should apply for. It’s the most important factor that card issuers look at when considering new card applications. Before we get into all the details about credit scores, let’s take a look at some of the best cards you can get based on your general credit score range. With excellent credit, you can get just about any card you want. The best cards offer cash back, sign-up bonuses, 0% intro APR and more. Your options will be a bit more limited with good credit, but you can still get a lot of great cards that offer excellent savings, cash back and more. It can be difficult to get a card if you don’t have decent credit. However there are still a few options. If you can, try to qualify for a standard card. Otherwise, a secured credit card can be good for building up your score. Your credit score matters for a lot of different reasons. Nearly anytime you want to borrow money, the lender is going to pull your credit score. That includes getting a home mortgage, a car loan or even a credit card. If your score isn’t high enough, you may not be approved for the loan. Or you may be approved, but with a higher interest rate. A higher credit score will not only give you a better chance for approval, but it will usually mean better terms, too. That can make it a lot cheaper to borrow money. For credit cards, the most rewarding cards with the best APRs always go to customers with the best credit. Your score really matters. First off, you should always strive to make your payments on time. One ding to your payment history can have a lasting effect. Credit utilization is a bit more complicated. It refers to the amount of your credit that you’re using. You can figure that out by dividing the debt you have by your total credit limit. In short, you should use no more than 30 percent of your total credit limit. More than that, and your score takes a hit. For example, if you have a $10,000 credit line, it’s best for your credit score if you have $3,000 or less on that card. If you have more than that, consider getting another line of credit and moving part of the balance to that card. Other factors that can impact your credit score are the average age of your credit lines, how many and what types of loans you have (car, student, mortgage, credit card, etc.) and the number of inquiries on your credit report. There is no one credit score. Everyone has a range of credit scores. That’s because different institutions calculate credit scores differently. That includes the two most popular scores—FICO and VantageScore —and the three major credit bureaus—TransUnion, Equifax and Experian. Unfortunately, how your score is calculated by each institution is proprietary, so we won’t be able to tell you exactly how they do it. But we can shed some light on the different scores. It’s important to remember that no matter what credit score you are looking at, the higher your score is, the better. As a general rule, any credit score over 800 is considered excellent and will give you access to the best credit cards and the lowest interest rates. Credit scores over 700 are still considered good and will give you access to most credit cards and still reasonably low interest rates. Below are some more details about FICO and VantageScore, the two most popular types of credit scores. FICO is a brand name for credit scores from Fair Isaac Corporation. To make things more complex, there are actually many different types of FICO scores. In addition to the “regular” FICO 9 score, there are also industry-specific FICO scores that are sometimes used for auto loans and mortgages. Some lenders will also use other versions of FICO scores, including FICO, FICO 8, FICO Auto and FICO Bankcard. Some credit bureaus will provide FICO scores or use them as part of their system to generate their own proprietary scores. You won’t have a FICO score unless you’ve had at least one account open for six months or more. You need to have at least one account that has been reported to the credit bureau in the last six months. Your FICO score is generally determined by the factors listed below. The percentages tell you roughly how much of your score is determined by that factor. In this case, your payment history and credit utilization are worth more than all of the other factors combined. VantageScore is a newer credit score. It was created by Equifax, Experian and TransUnion in 2006 to be a competitor to FICO. Like FICO 9, your VantageScore will usually range from 300 to 850, but there are other versions of VantageScore with different ranges. For example, VantageScore 2.0 ranges from 501 to 990. The latest version offered of VantageScore is VantageScore 4.0. That is the score that is most commonly used. VantageScore includes 24 months of historical data, as well as some non-traditional data. It also factors in recurring payment activity, like utilities, rents and phone bills, to calculate your score. Most of the score, though is determined by the more traditional factors used by FICO. Since FICO and VantageScore use different ranges and different formulas when creating their scores, they have different rating systems. Below is a general guide showing the differences between those systems and where your score might fall. What Do Credit Score Ranges Mean? It’s important to note that the ranges above are not a definitive guide, but instead are intended to give you an idea of where your score falls compared to other consumers. Perhaps more importantly, lending institutions are familiar with the differences between the two scoring systems and often use their own rating systems. In other words, it wouldn’t be unheard of for a bank to create a cutoff for offering the best interest rates that has nothing to do with the categories above. For example, a bank may give anyone with a FICO score above 790 the best rates, but another may only offer the best rates to those with scores above 815. We can, however, offer some general guidelines about what it means to have excellent, good, fair and poor credit. You may be asking what an excellent credit score is. In general, scores in the mid-700s are considered very good or excellent. If you have one that falls in this range, you’re likely to get approved for a credit card or other loan. Obviously there are other factors that can play a role, like your debt-to-income ratio, but your chances for approval are pretty good with excellent credit. 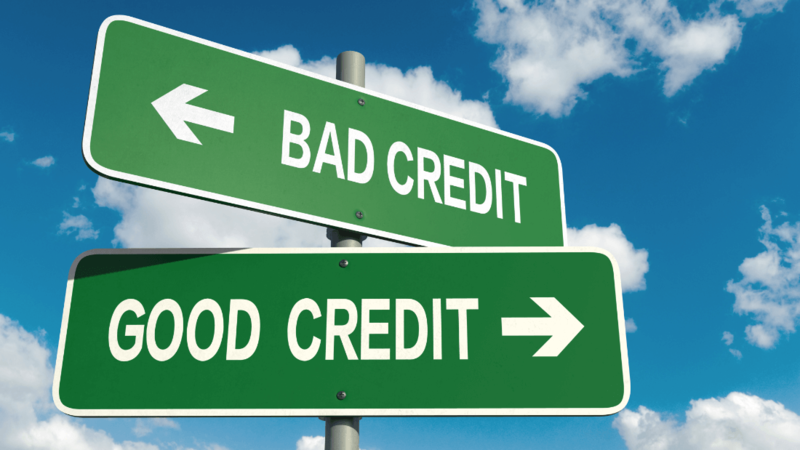 Scores between the mid-600s to the mid-700s generally qualify as fair to good credit. This is what you’d call average credit. With a score in this range, you’re likely to be approved for many cards and loans, but it’s far from a guarantee. You may need to shop around a bit, and you might not get the best credit cards or loan rates. If your credit score falls in the range of 300 to about the mid-600s, you’re going to want to work towards improving it. You might get approved for certain credit cards and loans, but it’s not at all guaranteed. If you can’t get a traditional credit card, consider getting a secured credit card and working on improving your score. Pay your bills on time and don’t carry a balance if you can help it. There are three major credit bureaus in the U.S., TransUnion, Experian and Equifax. These bureaus typically use both FICO scores and VantageScores when creating credit reports. 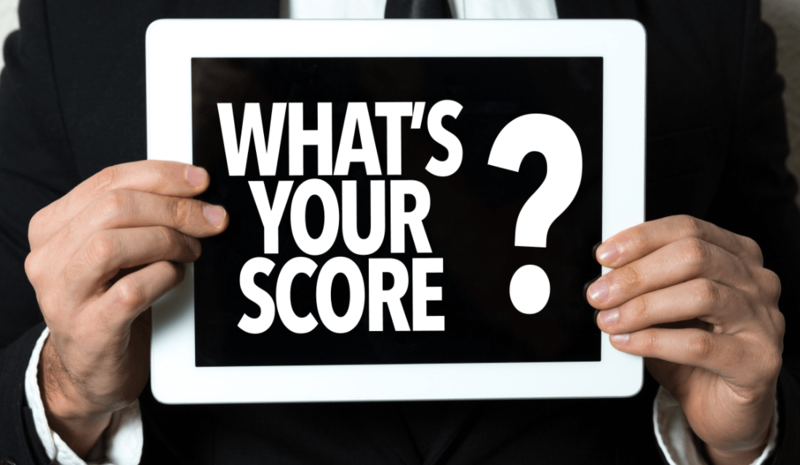 They may report those scores directly, use those scores as part of their calculations for creating their own proprietary scores, or both. It may depend on which score is being requested and what the score is being used for. The current range for TransUnion credit scores is the same for standard VantageScore and FICO scores: 300 to 850. TransUnion scores are primarily used by institutions that a person already banks with and helps them determine how likely a customer is to default within the next 90 days. The range for Experian PLUS credit scores is 360 to 840. This score isn’t used by lenders, but is offered to customers (often times for free). Experian also generates both VatnageScore and FICO scores with their standard range of 300 to 850. Equifax also generates VantageScores and FICO scores with the standard range. The bureau creates its own National Equivalency Score too, but it’s used primarily for portfolio analysis and not for lending purposes. Most credit score ranges start around 300 and end around 850. In general, you should aim for a score that’s in the mid-600s or higher if you want to qualify for decent credit cards and loans. If you hit the mid-700s, you’re set. A good way to improve your credit score is to decrease your overall credit utilization. Do that by paying down your debt and/or increasing your total credit limit. Make sure you always pay your cards on time. Your payment history has a huge impact on your credit score. Credit scores are complicated. We haven’t even talked about all of the credit scores and credit bureaus that are out there. You shouldn’t give up, though. You have to keep track of your score so you’ll know if you’ll qualify for your next credit card or loan. If your score is too low, you’ll need to do some work to bring it up before applying.